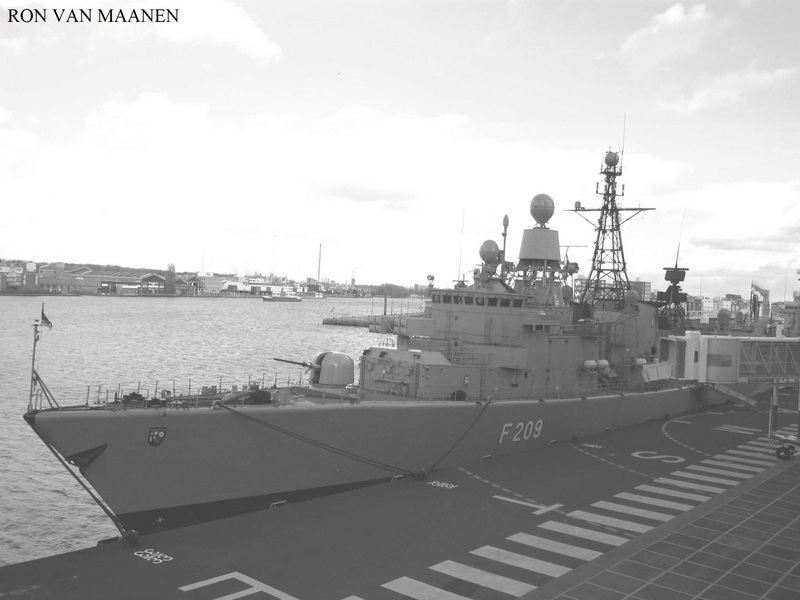 Of the De Zeven Provinciën-class. Laid down on 6 September 2001, launched on 19 April 2003 and commissioned on 10 July 2005. General technical specifications: displacement of 6.050 tons and as dimensions 144,2 x 17,5 x 5,2 metres. The crew numbers 169-207 men. Marshall Islands-flagged, homeport Majuro, IMO 9595905, MMSI 538004382 and call sign V7SW6. Built by Zhejiang Ouhua Shipbuilding, Zoushan, China. Owned by Fednav Group, Montreal, Canada and managed by Anglo Eastern Shipmanagement, Hong Kong, China. Sailed for director Jean Dupeirou, Amsterdam, Netherlands in 1701 but lost. Gerret van Sante, broker at Zaandam. Alphabetische Naam-Lyst van alle de Groenlandsche en Straat-Davissche Commandeurs, die zedert het jaar 1700 op Groenland, en zedert het jaar 1719 op de Straat Davis, voor Holland en andere Provincien hebben gevaaren. Haarlem, 1770. This book also contains hand written notes for the period 1770-1794. An item dated Hamburg, Germany 6th reported the arrival the same day of Broer Broerse with 7 whales and 100 quardelen returning from Greenland. Sailed for director Joachim Tyssen, Amsterdam, Netherlands between 1766-1769 with as results 1766: 2 whales, 90 barrels whale blubber, 125 quardelen train oil, 1767: zero, 1768: zero and 1769: 2 whales, 7-0 barrels and 111 quardelen. 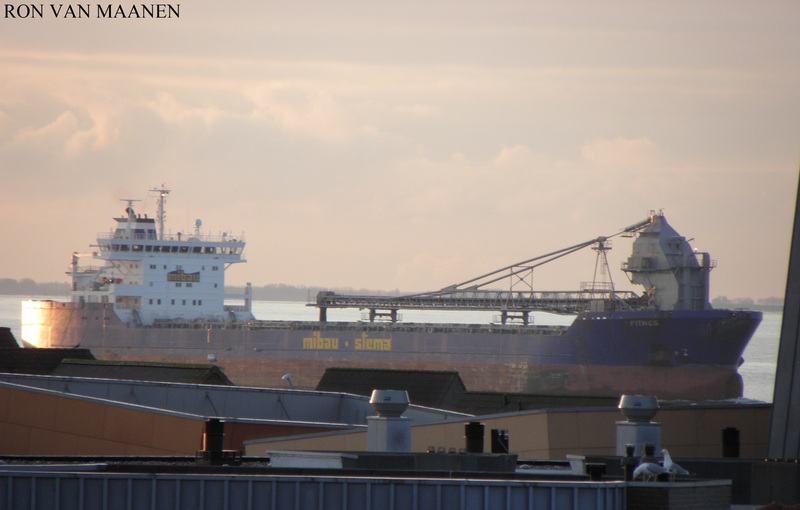 Denmark International Register-flagged, IMO 9410507, MMSI 219431000 and call sign OUZD2. Ex-Prima renamed February 2012 and Nordic Prima renamed May 2012. Sailed for directors Frans van de Velde en Zoonen, Amsterdam, Netherlands between 1755-1757 with as results 1755: returned while leaking, 1756: 2 whales, 60 barrels of whale blubber and 256 quardelen train oil and 1757: 5 whales, 160 barrels, 256 quardelen. Sailed for director Willem Koninck Abrahamsz, Amsterdam, Netherlands in 1758 with as results 2 whales, 60 barrels and 98 quardelen and in 1762 with zero result. An item dated Hamburg, Germany 19th reported the arrival the same day of commandeur Simon Petersen returning from Greenland with 120 quardelen seal blubber. He left Greenland on 31st May reporting that he never ever experienced such as cold in Greenland as this year. Sailed for director Cornelis Abrahmsz de Veer, Amsterdam, Netherlands in 1762-1764 with as results 1762 zero, 1763 4½ wha;es. 107 barrels whale blubber and 150 quardelen train oil and in 1704 ½ whale, 25 barrels whale blubber and 35 quardelen train oil. The Balny which became the Faku? The Faku originally the Francis-Garnier? Laid down by A.C. de Bretagne, Nantes, France in 1909, launched in September 1914, completed in 1920, laid up at Chungking in 1940 and broken up 1944. Jane’s Fighting Ships q958-1959 edition reports that she became the Communist Chinese Fa Ku. Displacement 201 (normal)-226 (full) tons and as dimensions 52,3 (between perpendiculars)-54,5 (over all) x 6,70 x 1 metres. Two shaft, w vertical triple expansions engines with 2 Fouché boilers delivering 900hp allowing a speed o14 knots. Coal bunker capacity 27 tons. Crew numbered 9 men. Armament consisted of 1-7,5cm/35 M1897 gun, 2x1-3,7cm/40 M1902 guns and 4xmachineguns. The Jane’s Fighting Ships 1944-1945 edition reports that it was the Francis-Garnier which became the Faku. Built by CNF, Caen, France in 1927. Displacement 639 tons and dimensions 106¾ x 33¾ x 7¼. Armed with 2-4”guns, 1-3” anti aircraft gun, 2-1pdr guns, 4 machine guns. The two sets triple expansion engines and 2 du Temple boilers delivered 3,200 ihp allowing a speed of 15 knots. Oil fuel capacity 100 tons. As the Zambezi Star Liberia-flagged, homeport Monrovia, IMO 9412000, MMSI 636018754 and call sign D5RF6. Earlier Isle of Man, United Kingdom-flagged, homeport Douglas, MMSI 235073548 and owned/managed by Rigel Schiffahrt, Bremen, Germany. Built by Hyundai Mipo Dockyard, Ulsan, South Korea in 2010. As Norviken Liberia-flagged, homeport Monrovia, owned by Norviken AS and managed by Wallem GmbH&Co. KG. Part of the fleet of Viken Shipping. 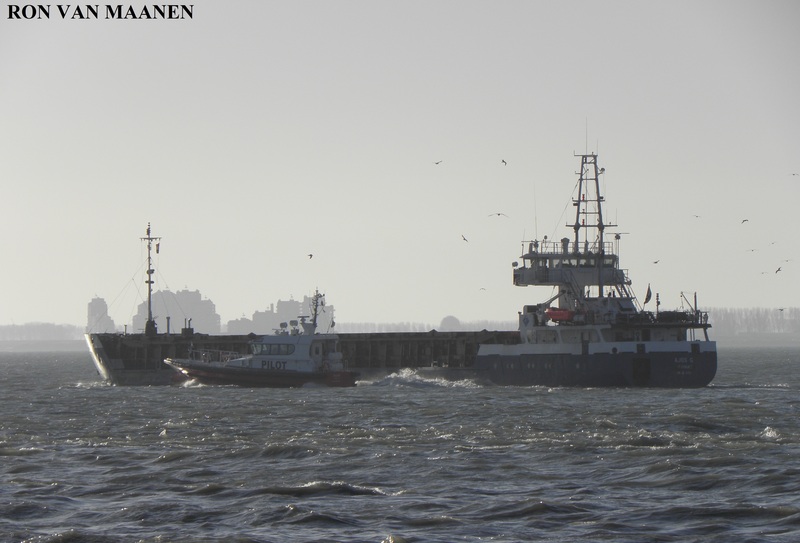 Netherlands-flagged, IMO 9756200, MMSI 244860916 and call sign PDCF. Gross tonnage 13.366 tons, deadweight 27.400 tons and as dimensions 154,4 x 28 x 7,4 metres. Ulstein Design&Solutions BV designed/. First steel cut by Sinopacific Shipbuilding in September 2015, launched in December 2017, end 2017 completed and went to Xiamane to be fitted out with the fall pipe system, in May 2018 completed and fitted out at Damen Shiprepair Rotterdam and christened on 21 May 2018. Subsea rock installation vessel suitable for installation of a wide range of rock sizes trough a fall pipe in the moonpool. Owned and operated by Van Oord, Rotterdam, Netherlands. Director Sr. Coerdt Jastram, commandeur Jochim Vydt and catch 1,5 whale and 72 quardelen whale blubber. M. Lindeman, Die arktische Fischerei der Deutschen Seestädte 1620-1868. Perthes, 1869. Netherlands-flagged, homeport Delfzijl, Netherlands, IMO 9467172, MMSI 245741000 and call sign PBRJ. Built by Hexing Shipbuilding&Repair Yard, Wenling, China in 2009. 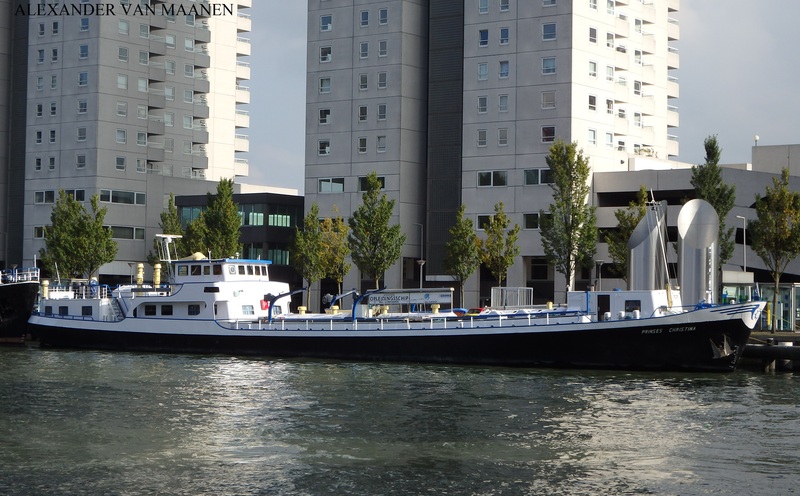 Owned by Banier Scheepvaart, Delfzijl, Netherlands and managed by Banner Shipping, Wedde, Netherlands. An item reported that the Czechoslovak Oder Navigation Company (CSPO) possessed the diesel screw steam tug Becva with a horsepower of 150hp, a draught of 0,90 meter. An item reported that the Czechoslovak Oder Navigation Company (CSPO) possessed the diesel screw steam tug Oslava with a horsepower of 150hp. Liberia-flagged, homeport Monrovia, IMO 9325178, MMSI 636015991 and call sign D5DX2. Still owned by Zodiac Maritime and managed by Eastern Pacific Shipping UK, London, England. Built by Xiamen Shipbuilding Industry, Xiamen, China in 2007. Ex-CSAV Rio Aysen renamed 2018. Of Nantucket, master Elihu Coffin, departed on 25 January 1918 towards the Pacific Ocean and returned 23 November 1821 with 1.254 barrels sperm and 15 barrels whale. Catalogue of Nantucket Whalers and their voyages from 1815 to 1870. Hussey&Robinson, Nantucket, 1876. Of Nantucket, master William Perkins, departed on 7 January 1819 towards the Pacific Ocean and retunred on 26 December 1821 with 690 barrels sperm and 1.000 barrels whale. 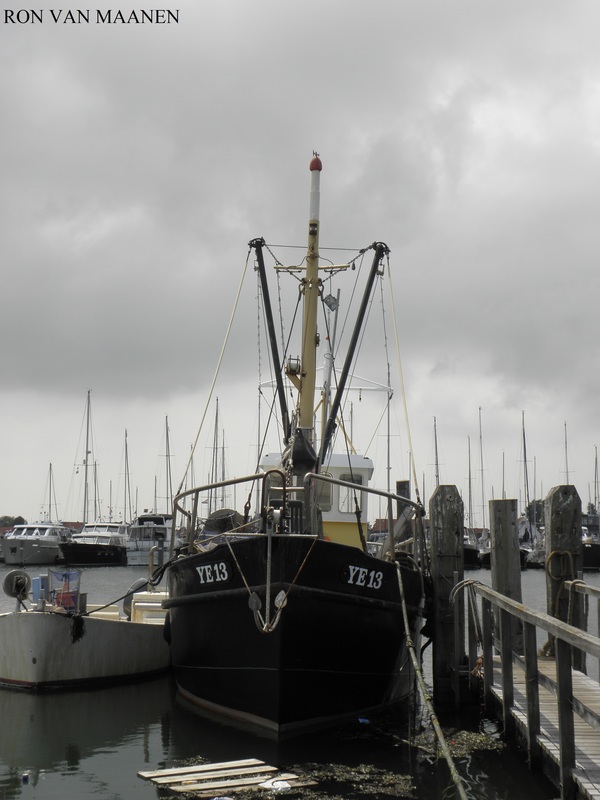 An item dated Amsterdam, Netherlands 6 August reported the arrival on the 6th at Texel of the Dutch whaler Zeger en Cornelis commandeur Cornelis J. Ruyg returning from Greenland with a catch of 9,5 whales and 190 quardelen. France-flagged, homeport Morlaix, IMO 9268708, MMSI 228183600 and as call sign FNPN. Gross tonnage 40.859 tons, summer deadweight 4.803 tons and as dimensions 184,3 x 30,9 x 6,8 x 9,7 9depth) metres or 604.7 x 101.4 x 22.3 x 31.8 feet. Passengers capacity 2.415 persons and further more 600 vehicles. Her crew numbers 185 men. Speed 27 (cruising)-28 (maximum) knots. Her building at the Meyer Neptun Papenburg, Papenburg, Germany was ordered in 2002, laid down on 10 April 2003 and launched on 13 September, completed in 2004 with building costs 100 million British pound and started on 23 March with her maiden voyage. . 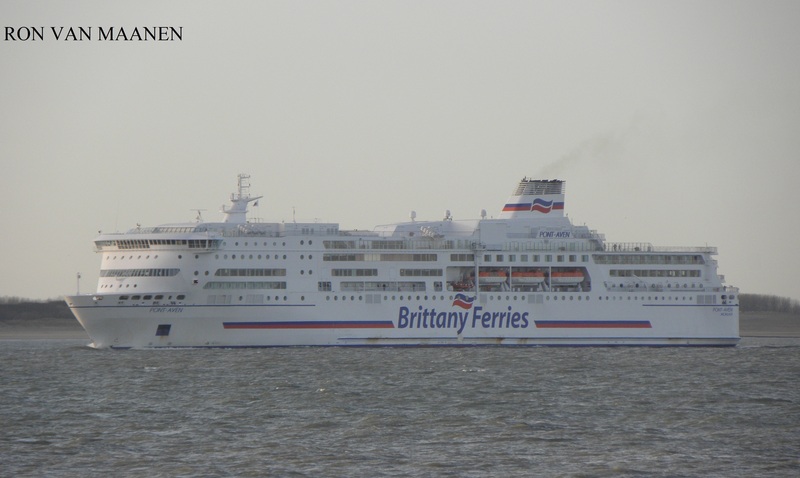 Owned and managed by Brittany Ferries/Somabret, Roscoff Bloscon, France. An item dated Rotterdam the 19th reported the sale of the 1.004 tons Dutch frigate ship Nicolerre built in 1865 for ƒ 29.500 to J. Kroonen. Another newspaper Het nieuws van den dag dated 11 March published an announcement dated Dordrecht Wednesday 9 March. Apparently she was sold again on an auction for ƒ 21.500 to ship broker Ed.C.A. Koli on behalf of Van Veen en V.d. Meulen of Nieuwediep, Netherlands. 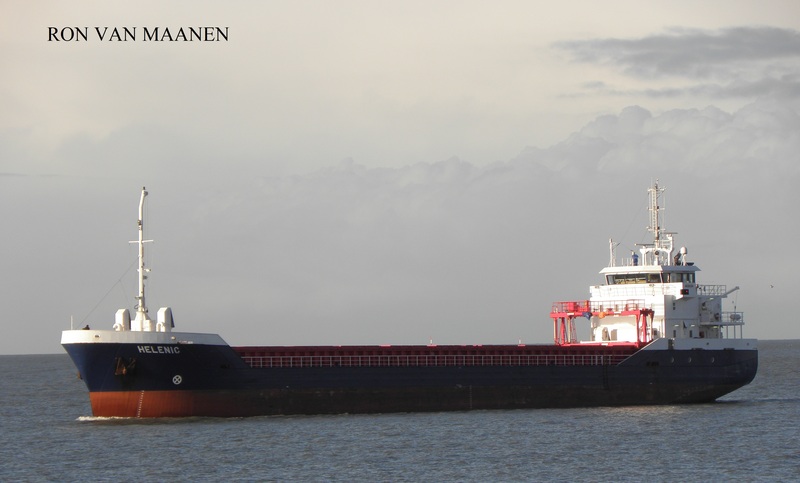 Netherlands-flagged, homeport Andijk, IMO 9356490, MMSI 244557000 and call sign PHNX. Gross tonnage 2.281 tons, summer deadweight 3.150 tons and as dimensions 84,99 (between perpendiculars)-88,98 (over all) x 11,8 x 5,05 x 6,9 metres. Speed 13 knots. Built in 2007 by Nova Melnik Lodenice, Melnik, Czech Republic and completed at the Bijlsma Shipyard B.V., Lemmer, Netherlands with yard number 751. Completed in March 2008. 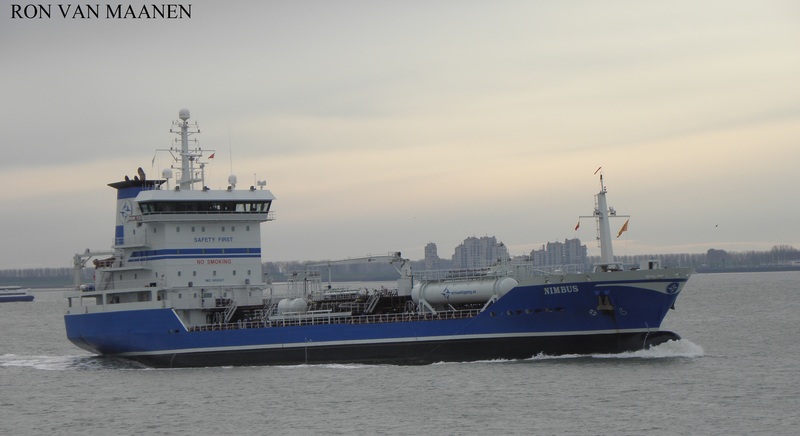 Owned by Scheepvaartonderneming Triton and managed by Wagenborg Shipping B.V., both of , Delfzijl, Netherlands. Sailed for director Pieter Brouwer, Amsterdam, Netherlands 1734-1738 with as results 1733: 1 whale, 40 barrels whale blubber, 1734: 2 whales, 80 barrels whale blubber, 1735: 2 whales, 70 barrels whale blubber and 1736: 2 whales, and 70 barrels whale blubber. Sailed for director Willem Koninck Abrahamsz, Rotterdam, Netherlands with as results 1756 zero and in 1757 2 whales, 18 barrels whale blubber and 28 quardelen train oil. Sailed for director Pieter Hartgers, Amsterdam, Netherlands with as results 1755: zero, 1756: 6 whales, 86 barrels whale blubber, 123 quardelen train oil, 1757: 3 whales, 98 barrels of whale blubber, 133 quardelen train oil; 1857 ½ whale, 35 barrels whale blubber, 46 quardelen train oil and in 1759: zero. Speed 30 knots. Her crew numbered 222 included aviation personnel. The armament consisted of 1-7,6 dual purpose OTO-Melara gun, 2-2,7cm Mauser MLG27 auto cannons, 1-8 cell surface to air missiles for which she carried 16 Sea Sparrow missiles with her, 2-MK CIWS launchers for which she carried 42 RAM with her, 2-quadruple Harpoon anti ship missiles launchers, 2-32,4cm Mark torpedo launcher and 2 helicopters. Sailed for director Jan Kramp, Amsterdam, Netherlands between 1744-1747: results 1744: 14 whales, 325 barrels blubber, 426 quardelen train oil, 1745: zero, 1746: 5 whales, 150 barrels whale blubber, 175 quardelen train oil and 1747: zero. An item dated Harlingen, Netherlands 26th referred to a telegram which reported that the seal hunter Noordpool with as homeport Harlingen was sold for an extra ordinary price in Norway. This also ended the whaling and seal hunting activities in Harlingen. The edition dated 28th February reported her departure on the 22nd from Tønsberg, Norway for seal hunting. Malta-flagged, homeport Valletta, IMO 9298040, MMSI 249969000 and call sign 9HA2108. Ex-Merope Star renamed June 2004. Owned and managed by Maritime Performances, Barendrecht, Netherlands. Built by Cantiere Navale de Poli, Venice, Italy in 2004. 1. Single screw steam tug. The dimensions are then given as 26,50-28,00 x 5,70 (thrushes changed in 5,94)-5,76 (maximum beam altered in 6,00) x 1,30 (with 10 ton colas and boiler willed with water) x 2,1 metres. The machinery consisted of 1-250ihp triple expansion steam engine and a boiler with a heating surface of 83 square metres. The Nederlandsche Scheepsbouw Export Centrale acted as an intermediary between Dutch shipyards and the Polish organisation Polimex (Polsike Towarzystwo Eksporto-Importowe Maszyn i Marzedzi), Warszawa, Poland. Built by Boot, Leiden, Netherlands with yard number 148 in 1949. This section was most of the time completed within 6 hours. The convoys were larger as elsewhere on the Oder and were towed by especially efficient and fast tugs. An item reported that on the Oder section Gryfino-Szczecin [the former German places Greifenhagen-Stettin] the Polish screw steam tug Bronisz master (fnu) Wagner was active. Built in the Netherlands with 250hp horsepower. Building ordered on 25 August 1965, laid down by Avondale Shipyard, Westwego, Louisiana, USA on 12 September 1969, launched on 20 June 1970, commissioned on 14 August 1971, decommissioned on 14 August 1992, stricken on 11 January 1995 and handed over to Turkey on 9 January 2000. Knox-class frigates, preceded by Garcia and Brooke-classes frigates and succeeded by Oliver Hazard Perry-class frigates. Totally 55 planned but 46 completed. The DE-1098-1107 were cancelled on 24 February 1969. Laid down as ocean escorts (earlier called destroyer escorts) specialized in antisubmarine warfare by reclassified as frigates under the 1975 ship reclassification plan on 30 June 1975. A part of the Knox-class was modified and called the Joseph Hewes-sub class. The ships served in the navies of the USA, Taiwan, Egypt, Greece, Mexico, Thailand and Turkey. A modified design was used by Spain for building the Baleares-class. General class specifications. With a full load displacement of 4.260 tons were the dimensions 126,5 (waterline)-133,5 (over all) x 14,2 x 7,5 metres or 415-438 x 46.9 x 24.9 feet. The machinery consisted of 1 Westinghouse steam turbine served by 2 boilers delivering maximum 35.000 shp allowing with the single screw a speed of more as 27 knots. The crew numbered 257 men (including 17 officers). The armament consisted of 1-Mk-18 cell missile launcher for ASROC and Harpoon missiles, 1-12,7cm/5” cal 54 Mk-42 gun, 2x2 32,4cm/12.75” fixed Mark 46 torpedo tubes, RIM-7 Sea Sparrow (BPDMS) replaced by Phalanx CISW(since the 1980s) and a DASH drone helicopter later replaced by a SH-2D/F Seasprite LAMPS 1 helicopter. An item reported that the Tasmanian whaler Offley, fitted out by Dr. Crowther in July 1858 for sea elephant hunting of Herds Island had a catch pf 52 tons sea elephant oil and 43 tons sperm oil, value 5.000 pound sterling. Hugh Munro Hull. The experience of forty years in Tasmania. London, 1859. Building ordered on 13 November 1969, laid down by down by Avondale Shipyard, Westwego, Louisiana, USA on 13 November 1969, launched on 29 August 1970, delivered on 3 March 1971, commissioned on 18 September 1971, stricken on 11 January 1995 and handed over to Taiwan on 29 April 1998 and renamed Ni Yang (F938). An item reported that the Hungarian-Soviet Navigation Company (Meszhart) founded in 1946 taken over the properties of the Austro-Hungarian Danube Steamship Company (DDSG) which was taken over by the Soviet Union which considered this company as German. She possessed the sidewheel inland tug Baross fitted out with electro motors powered by 3x400hp diesel engines. Building ordered on 25 August 1966, laid down by Avondale Shipyard, Westwego, Louisiana, USA on 4 June 1970, launched on 20 March 1972, commissioned on 18 March 1972, decommissioned on 5 May 1994, stricken on 11 January 1995, handed over to Turkey in February 2002, decommissioned in 2003 and broken up. 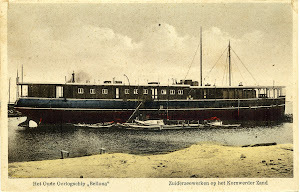 An item reported that the Czechoslovak Oder Navigation Company (CSPO) possessed the in Holland built twin screw steam tug President Benes[j] with a horsepower of 500hp, a draught of 1,50 meter and which served on the Szczecin-Kostrzyn run. Building ordered on 25 August 1966, laid down by laid down by down by Avondale Shipyard, Bridge City, Louisiana, USA on 20 March 1970, launched on 23 January 1971, delivered on 9 December 1971, commissioned on 18 December 1971, decommissioned on 30 April 1992, stricken in 11 January 1995, handed over to Taiwan, and renamed Hai-Yang (FFG-396) and decommissioned in May 2015. Director Sr. Hinrich de Jager, commandeur Carsten Rickmers and catch 16 whales and 600 quardelen whale blubber. Director Lucas Koenen&Comp., commandeur Jacob Zeemann and catch 9 whales and 370 quardelen whale blubber. Building ordered on 25 August 1966, laid down by down by Avondale Shipyard, Westwego, Louisiana, USA on 23 January 1970, launched on 21 November 1970, delivered on 14 October 1971, commissioned on 30 October 1971, decommissioned and stricken on 30 June 1993 and handed over to Turkey on 13 December 1993. An item reported that the Czechoslovak Oder Navigation Company (CSPO) possessed the old paddle steam tug Josef Ressel with a horsepower of 750hp, a draught of 1,10 meter and which normally served on the Kostrzyn-Wroclaw run. At the moment the information was received she was under repair in the dry dock at Prague-Liben, Czechoslavkia but expected to return in August 1951. Netherlands-flagged, homeport Yerseke, Netherlands. Built at Zaandam, Netherlands in 1901. Ex-Y 75. Netherlands-flagged, ENI number 02005966. Built at the shipyard of A. Vuijck&Zn., Capelle a.d Ijssel, Netherlands in 1963. Sailed for director Jan Leendertsz Kat of Jisp with as catches in 1700 1 whale and 20 barrels and whale blubber and lost in 1701. Sailed for director Goedschalk Kops of Amsterdam with as result 1701 11½ whales, 360 barrels whale blubber and 1702 and 1703 zero. Sailed for director Simon de Knuyt of Amsterdam in 1700 with a catch of 3 whales and 150 barrels whale blubber. Sailed for director Cornelis de Jong of Hoorn with as results 1700 4 whales, 200 barrels whale blubber, 1701 12½ whales, 450 barrels whale blubber and 1702 8½ whales and 300 barrels whale blubber. Sailed for director Simon Groot, Zaandam, Netherlands in 1717 with as results 9 whales and 190 barrels whale blubber. Sailed for directors De Caarsgieter and Riethoven of Amsterdam with as result 1717 2 whales, 90 barrels whale blubber, 1718 1 whale, 85 barrels whale blubber and 1719 zero. 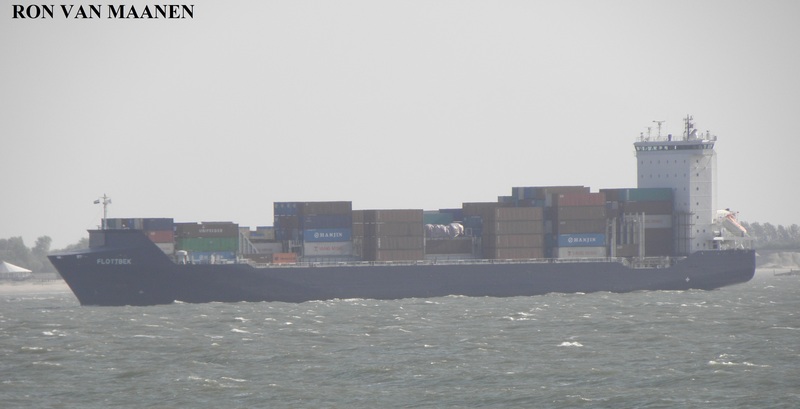 Netherlands-flagged, homeport Terneuzen, IMO 8843836, MMSI 244795000 and call sign PBKT. Ex-Darss renamed January 1991, Kuhlung renamed September 1991, Eide Rescue I renamed January 1994, Marpol Baltic renamed January 1995, Steinvang renamed January 1999 and Cincobulk renamed July 2003. Owned by Schotsman, Hendrik Ido Ambacht, Netherlands and managed by Terneuzen Transport, Terneuzen, Netherlands. Built by Meyer Neptun Rostock, Rostock, Germany in 1983. Director Sr. Ammon Andressen, commandeur Vincent Janssen and catch 1 whale and 72quardelen whale blubber. Director Sr. Herm G. Backer, commandeur Erick Jacobs and catch 17 whales and 710 quardelen whale blubber. Director Sr. Herm G. Backer, commandeur Arend Peters and catch 7 whales and 306 quardelen whale blubber. Netherlands-flagged, MMSI 244013210 and call sign PCLP. 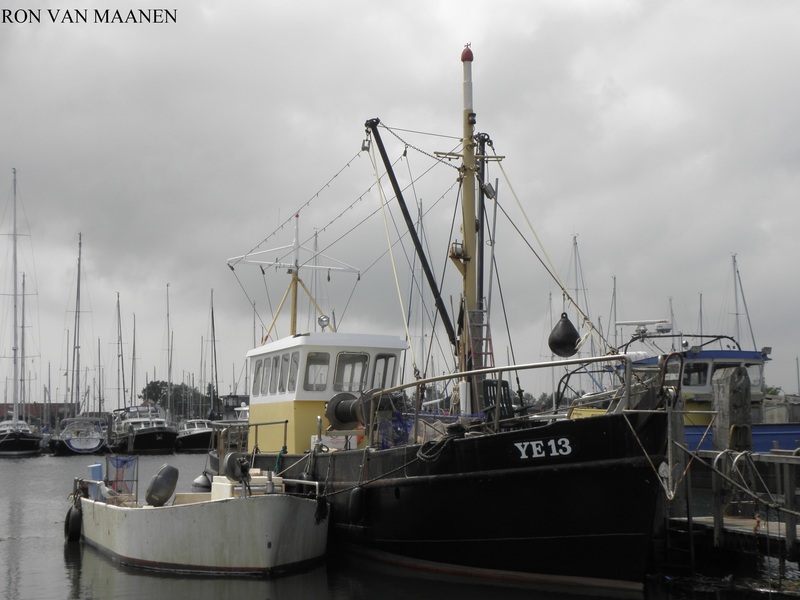 Built by Barkmeijer Shipyards, Stroobos, Netherlands with yard number 339 in 2018. Netherlands-flagged, IMP 9373735, MMSI 244870428 and call sign PDDB. Owned by Coral Monactis Shipping BV, managed by Anthony Veder Chartering BV and operated by Anthony Veder Rederijzaken BV, all at Rotterdam, Netherlands, Laid down by Cantiere Navale di Pesaro, Pesaro, Italy with yard number C124 on 19 December 2007, competed on 5 June 1009. Ex-Castelli do Gradaram Italy-flagged, homeport Naples, call sign IBIU and MMSI 247272900 and owned and managed by LGR di Navigazione, Naples, Italy. Renamed in November 2015. Directors Claas Taan en Zonen, commandeur Jan Simonsz Walig and homeport Zaandam, Netherlands. Departed in 1788 towards Greenland. Catch results 3 whales, 60 barrels blubber and 95 quardelen whale oil. Lyst van de Hollandsche, Hamburger en Breemer Groenlandsvaarders, anno 1788 uitgevaren. Erfgenamen Wed. C. Stichter, Amsterdam. Alphabetische naam-lyst van alle de Groenlandsche en Straat-Davidsche Commandeurs die sedert het jaar 1700 op Groenland en sedert het jaar 1719 op de Straat Davis etc. Gerret van Sant. Published by Johannes Enschede, Amsterdam 1770, with hand written note until 1794. Directors Claas Taan en Zonen, commandeur Cornelis Duyn and homeport Zaandam, Netherlands. Departed in 1788 towards Greenland. Catch results 2 barrels blubber and 2 quardelen whale oil. United Kingdom-flagged, IMO 9150781, MMSI 232002785 and call sign MWIP7. Built as the Afon Goch by Hepworth Shipyard, Kingston upon Hull, United Kingdom for Holyhead Towing in 1997. Now owned by DCS=Delta Coastal Services, Vlissingen, Netherlands (since April 2018?). Gross register tonnage 129,3 tons, deadweight 144 tons and as dimensions 23,8 (over all) x 7,5 x 3,25 9depth) x 2 (aft) metres. Bollard pull 19 tonnes. Speed while free running 11,1 knots. Russia-flagged, homeport Vanino, call sign UGXU or UCGJ, IMO 8899926 and registration number 831171. Built Built by Tito Shipyard, Sremska Mitrovica, Yugoslavia [nowadays Serbia] with yard number 1100 on 31 May 1985. Gross tonnage 279 tons, net tonnage 83 tons, deadweight 86 tons, displacement 472 tons and as dimensions 30,00 (rule)-35,23 (over all) x 8,01 x 4,50 (depth) x 3,16 (draught) metres. Speed 11,5 knots. Owned by Bravo Ship Leasing 16 B.V., Gorinchem, Netherlands. Russia-flagged, homeport Kaliningrad, registration number 820478 and IMO 8226507. Built Yantar Shipyard, Kaliningrad, Russia with yard number 801 on 21 November 1983. Gross tonnage 182 tons, net tonnage 54 tons, deadweight 69 tons, displacement 371 tons and as dimensions 27,00 (rule)-29,30 (over all) x 8,58 x 4,20 (depth) x 3,40 (draught) metres. Speed 11,3 knots. Owned by Yantar Shipyard, joint stock company, Kaliningrad, Russia. Russia-flagged, homeport Arkhangelsk, call sign UFIZ, registration number 852905, MMSI 273411020 and IMO 8724092. Built by Yaroslavskiy Shipbuilding Plant, Yaroslavl, Russia with yard number 228 on 20 June 1986. Gross tonnage 1.178 tons, net tonnage 353 tons, deadweight 404 tons, displacement 1.615 tons and as dimensions 51,60 (rule)-58,55 (over all) x 12,67 x 5,90 (depth) x 4,69 (draught) metres. Speed 13,2 knots. Owned by Production Association North Machine-building Enterprise, joint stock company, Arkhangelsk, Russia. Maritime connector reported in contrary to the Russian maritime shipping register owner/manager Sevmash, Severodvinsk, Russia. Netherlands-flagged, ENI 02323331, MMSI 244690858 and cal sign PB7137. Built by Deltawerf, Sliedrecht, Netherlands with yard number 26 in 1974. Fitted out with a 480hp GM 16V71 engine. Dimensions 18,85 (original)-19,18 (nowadays) x 5,50 (original)-5,62 (nowadays) x 250 metres. Built as Fijenoord in 1974 for Fijenoord Dok&Scheepswerf, Schiedam, Netherlands in 1974, since 1984 of Smit Internationale Havensleepdiensten BV, Rotterdam, Netherlands, renamed Eerland 2 in 1984 owned by G.J. Eerland&Zn. Sleepdienst&Transport Onderneming, Rotterdam, renamed Argus in 1994 owned by Baltic Marine Contractors, Rostock, Germany, renamed Eerland 2 in 1997 of G.J. Eerland&Zn. Sleepdienst&Transport Onderneming, Rotterdam, renamed Balckyard in 1999 of J.A. Balck Scheepsreparatiebedrijf BV, Rotterdam and renamed Hendrik 7 in 2010 of R.F. van Aerde Sleepdienst, Sas van Gent, Netherlands. An item reported that the Hungarian-Soviet Navigation Company (Meszhart) founded in 1946 taken over the properties of the Austro-Hungarian Danube Steamship Company (DDSG) which was taken over by the Soviet Union which considered this company as German. She possessed the inland sidewheel diesel tug Mohacs with 800 hp horsepower. An item reported that the Hungarian-Soviet Navigation Company (Meszhart) founded in 1946 taken over the properties of the Austro-Hungarian Danube Steamship Company (DDSG) which was taken over by the Soviet Union which considered this company as German. She possessed the sidewheel diesel tug Esztergom with 1.100 hp horsepower. Liberia-flagged, homeport Monrovia, IMO 9313216, MMSI 636092197 and call sign A8YI8. Built at the shipyard of Meyer Neptun Papen burg, Papenburg, Germany in 2005. Owned and managed by Hamburger Lloyd, Hamburg, Germany. Antigua&Barbuda-flagged, homeport Saint John‘s, IMO 9145138, MMSI 304503000 and call sign V2CF. Built at the Slovenske Lodenice, Komarno, Slovakia. Owned and managed by Gerdes Reederei, Haren Emmeln, Germany. Part of the squadron commanded by don Álvaro de Bazán which conquered the isle Tercera in 1583, from Castro, Portuguese caravel, maestre Mateo de la Roca and with a crew numbering 10 men. Part of the squadron commanded by don Álvaro de Bazán which conquered the isle Tercera in 1583, a tonnage of 314 toneladas, 149 men (36 sailors, 113 soldiers), belonged to the ships from Guipuzcoa and Vizcaya, commanding officer Juan Pérez de Mutio. 1. 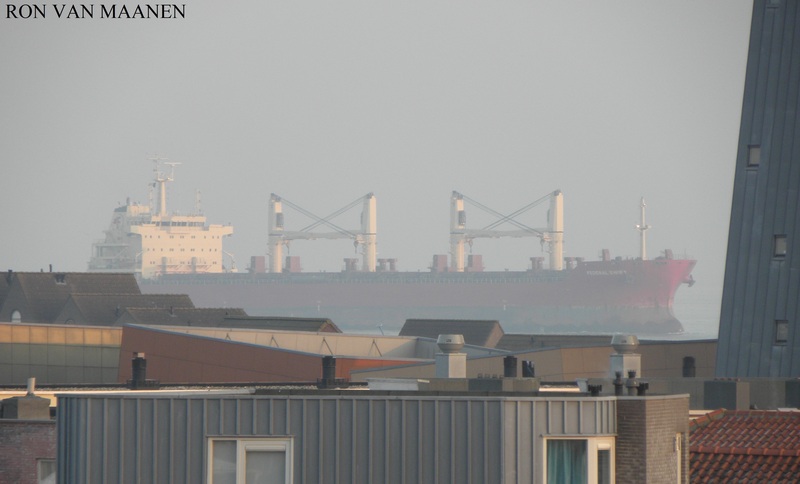 Callsign NFSK, homeport Amsterdam, Netherlands, tonnage 3.904,71 cubic metres or 1.378,36 tons of 2,83 cubic metres. Antigua&Barbuda-flagged, homeport Saint John’s, IMO 9490105, MMSI 305530000 and call sign V2ER8. Built at the JJ Sietas Schiffswerft, Hamburg, Germany in 2010. Owned and managed by HJH Shipmanagement, Cadenberge, Germany.